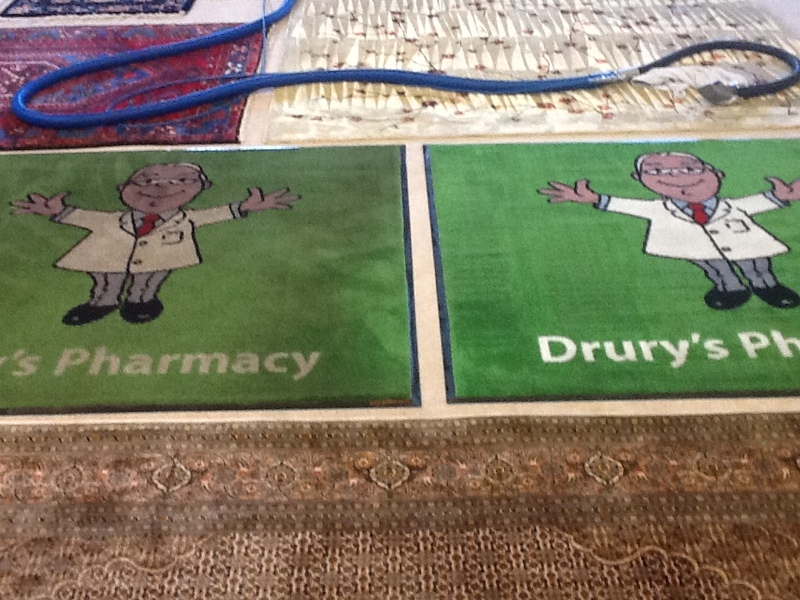 So instead of us just telling you about the fabulous rug cleaning results we achieve, we’ve decided to show you! 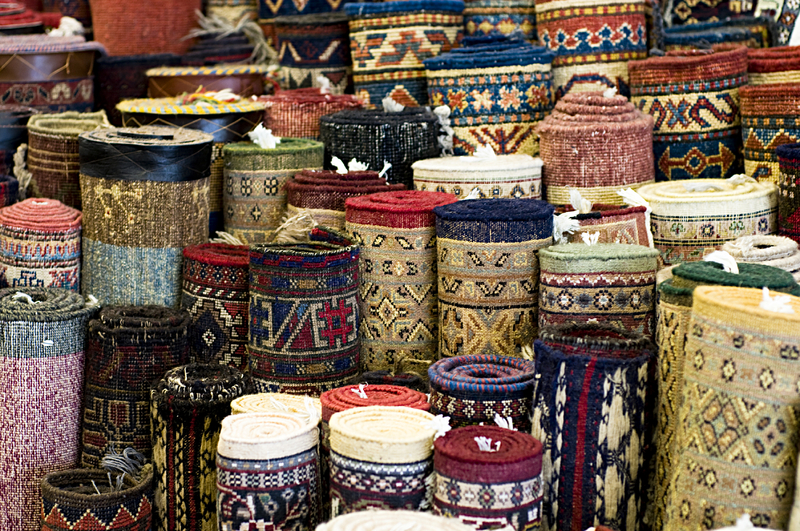 A rug that has been badly stained by nicotine is shown mid-transformation. 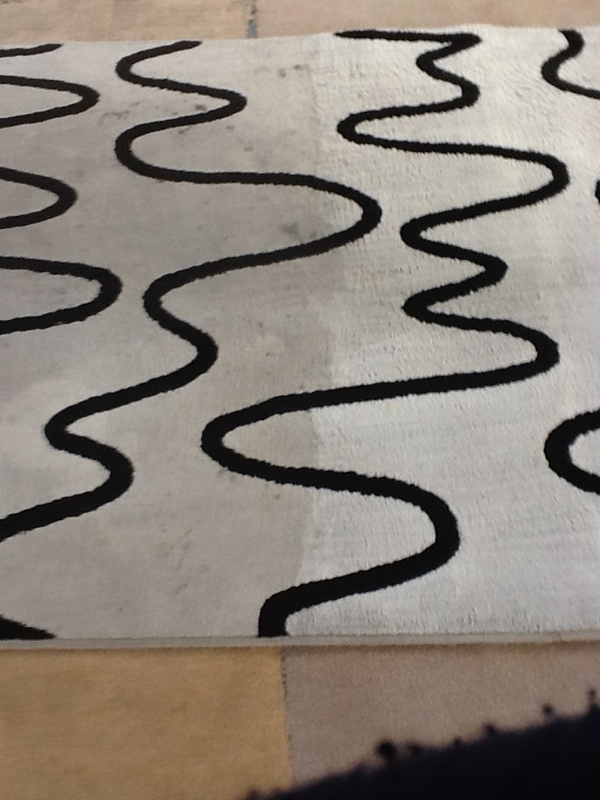 This beautiful wool rug was in a very sorry state when it arrived with us and had never been cleaned before. It arrived as a dark beige in colour and with an unpleasant odour. As this photo shows, the technician started work at the “top” of the rug. Very soon the true colour of the rug (cream) was revealed, along with and the beautiful, soft texture, once the “filth” (for want of a better word!) was removed. 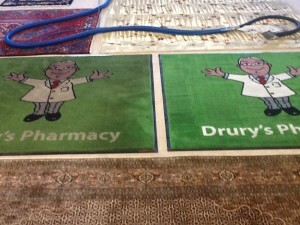 We gave the pharmacist his white coat back! 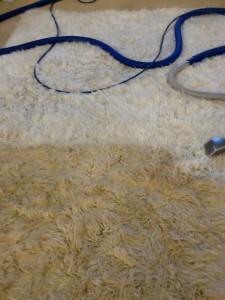 Another “during” photo of another cream rug! 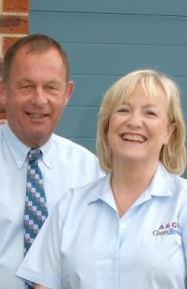 At least … we realised it was cream once we’d started the clean! 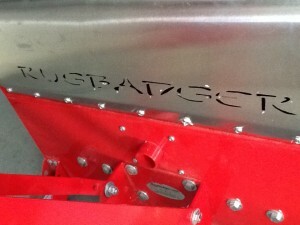 The “Rug Badger” is our secret weapon in the fight against grubby rugs! 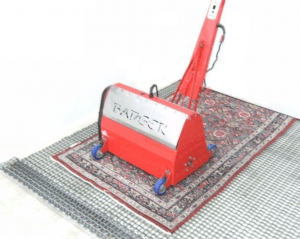 When rugs first arrive in our workshop, we use the Rug Badger to extract all traces of dry soiling, prior to vacuuming and cleaning. 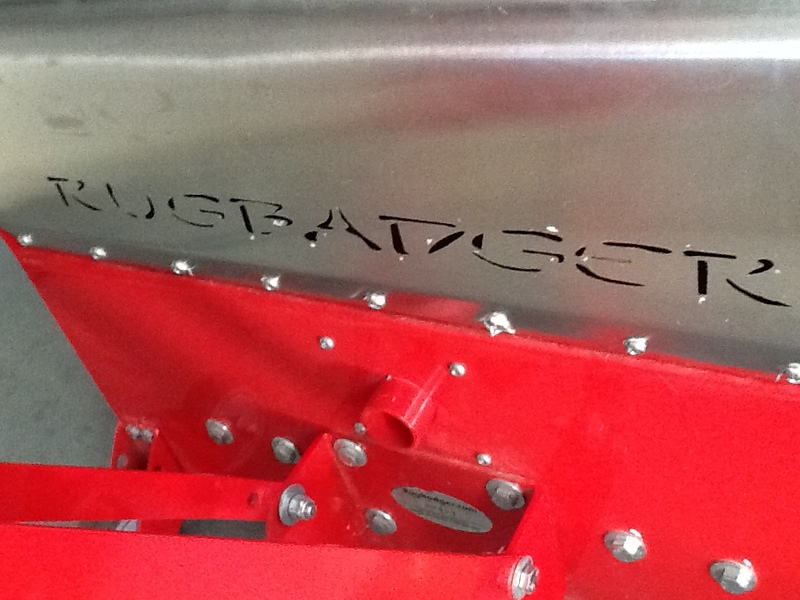 Placed over the the rug, the Badger gently, but effectively “beats” the fibres to completely dislodge heavy and damaging sediments (grit etc) and dirt. With all the dry soiling & harmful gritty debris removed, the effectiveness of the final cleaning process is enhanced quite spectacularly! 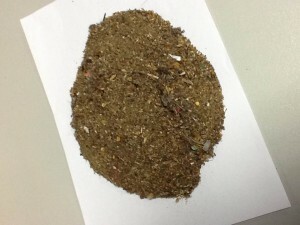 And just in case you were wondering …..
this is what the dry soiling extracted from just ONE rug looks like …. available with our rug cleaning service.